Many institutes of higher learning have adopted a dog as their official mascot. 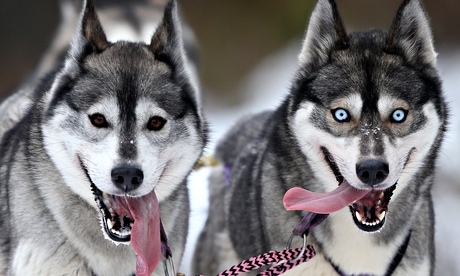 In this, what I hope will be my first profile of such dogs, I’d like to introduce you to the Northeastern University Husky. 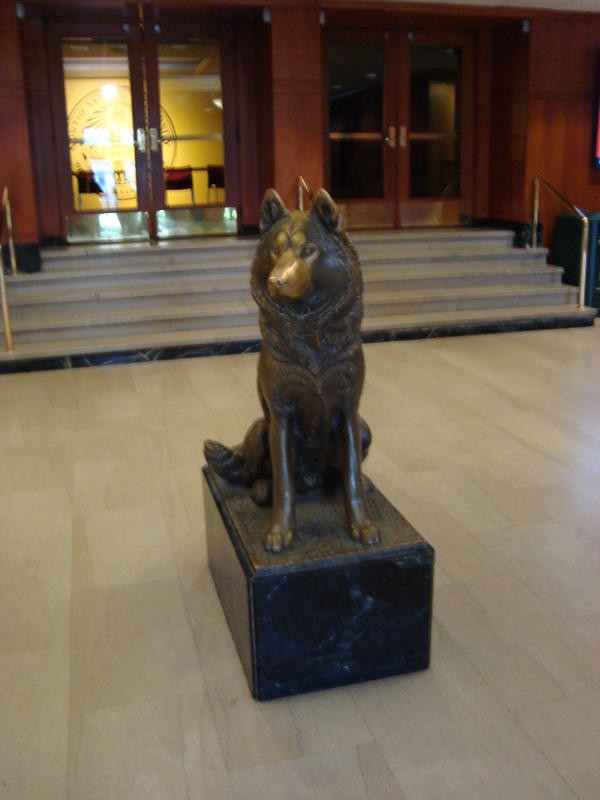 In a prominent foyer of the main campus, a bronze sculpture of the Husky has been on display for decades in homage of the dog’s role as the official mascot. It’s a common meeting place for students and faculty, particularly as the foyer provides a haven from what can be rainy or snowy weather in Boston. 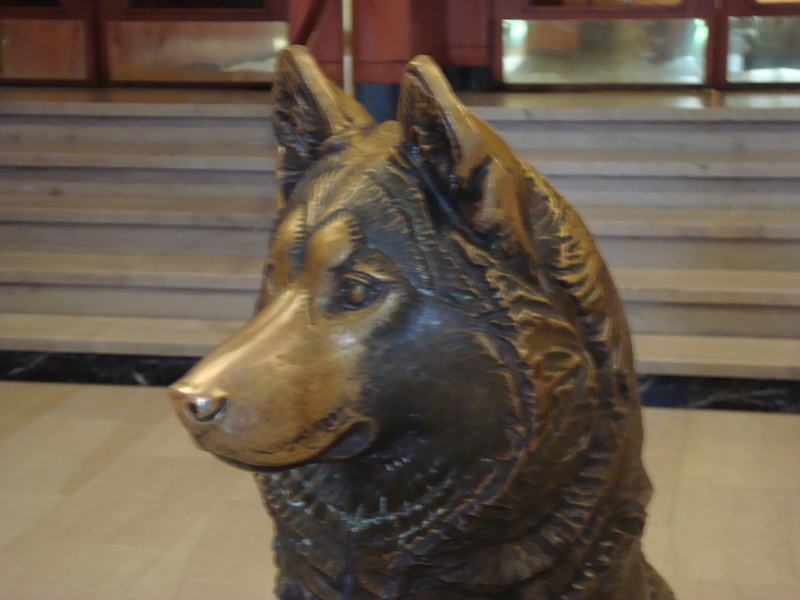 The statue’s muzzle has been worn smooth from the amount of petting it has had over the years. In addition, the sports teams of Northeastern are referred to as the Huskies, the newsletter of the university is The Husky Nation, and the on-campus card for purchasing is The Husky Card. Visit the official university bookstore and you can buy t-shirts, sweatshirts and other items bearing the Husky image. If you are lucky, a real Husky will attend a special sport or other event being held at the University!